A game for two or more couples. 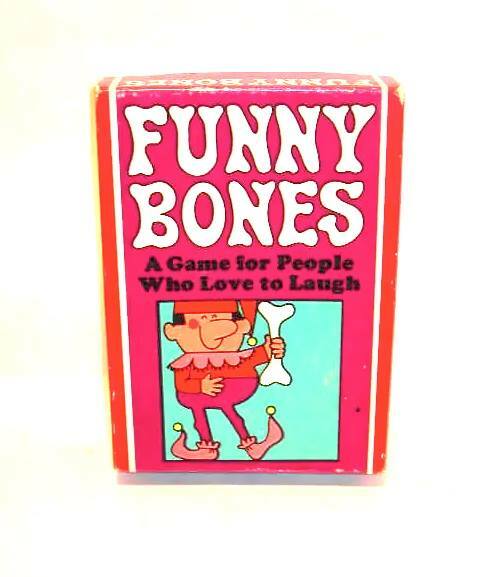 “The object of the game is to win more points than any other couple by successfully connecting more Funny Bones than your opponents. ” The deck of cards includes 23 colorfully printed cards depicting illustrated parts of the body that are “connected,” think handbone connected to the hip bone. Each couple follows the illustrations on the cards. The game is in very good vintage condition with color and cardboard intact like new, though one card has been bent.